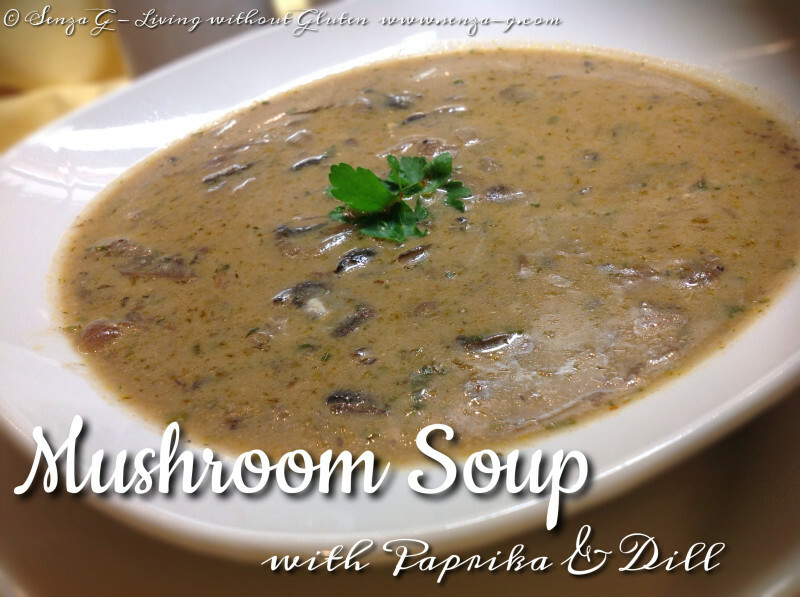 What is more comforting than a lovely warm bowl of mushroom soup ? The dill gives this soup a lovely taste, and the soy sauce and paprika spice it up a bit. You can make it less chunky by liquidizing half of the soup before thickening it with the milk and flour. Delicious! Put a tablespoon of butter and a dash of olive oil in a large pan and over medium to low heat, sauté the onions and garlic. Add the sliced mushrooms and sauté for a few more minutes. Now add the the paprika and the dill, soy sauce and the vegetable stock. Bring to a boil and then lower the heat and simmer, covered for about a quarter of an hour. Remove about half of the soup, place in a food processor and blend. Add the pureed soup to the pan again. You can skip this step if you prefer the soup very chunky. In a bowl, whisk the flour into the milk until there are no lumps. Stir this into the soup and leave to simmer, covered for another 20 minutes, stirring occasionally. Before serving, add salt and freshly ground pepper, add the lemon juice and the yoghurt and finally the parsley. Stir well until combined. Leave on very low heat but do not let it boil. Serve sprinkled with parsley leaves or a swirl of yoghurt, whichever you prefer.